Oh, there are so many desserts here on this cruise ship. There are myriad chocolate choices, glazed this and that, and oozing pastries. What is a sweet hater to do? Although I know that John likes the occasional sweet, he is a sweetie and shares a cheese plate with me after dinner. Mmm, cheeses. Some soft, some hard, some mild and others intense. 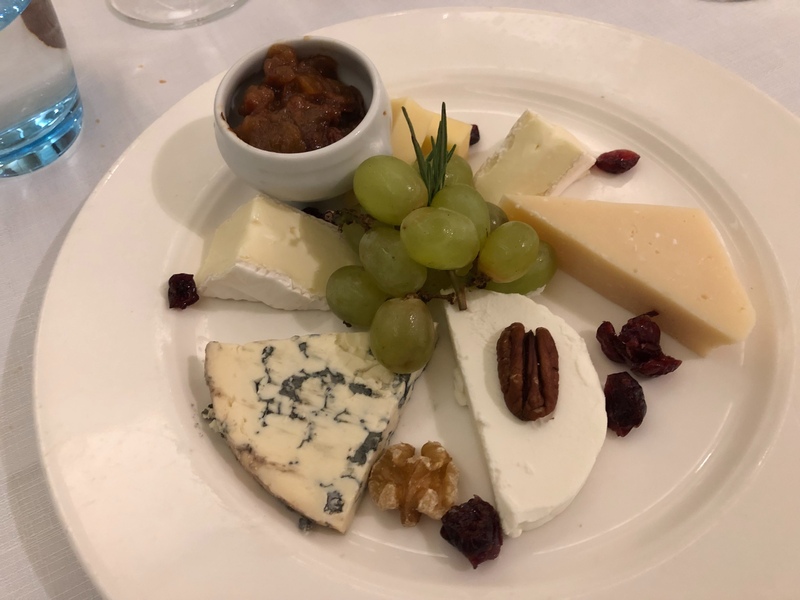 The cheese plate is served with a small basket of baguette slices, a handful of grapes, some dried fruit, a unsweetened fig jam, and the random nut or two. This is my kind of dessert! This entry was posted in Desserts and tagged cheese, cheese plate. Bookmark the permalink.